Every two years the Dhaka Art Summit is held at the Bangladesh Shilpakala Academy. The summit focuses on international, non-commercial research and they strive to be an exhibition platform for art and architecture related to South Asia, with a core focus on Bangladesh. This year, for the first time in its history, the Dhaka Art Summit will focus on creating new connections between South, South East Asia, and the Indian Ocean belt by exhibiting artists from Thailand, Malaysia, Madagascar, the Philippines, and other countries in South East Asia. The Dhaka Art Summit will be running special projects such as “Planetary Planning” and “Expression of Time” as well as the Samdani Art Award which will be announced this Friday. Located in the very vibrant Hamra neighbourhood in Beirut, Letitia Gallery a new contemporary art gallery will open its doors. The gallery founded by Mohamad Al Hamoud and Annie Vartivarian, focuses on attracting global interest and engagement with contemporary art in Lebanon.Annie Vartivarian is simultaneously the curator of the gallery and she plans on having four to five exhibitions a year, with the first one being 'Under the Same Moon' by British artist Eileen Cooper that will run through 1 April 2018. THE WHOLE WORLD IS AN ART SCHOOL! Bob and Roberta Smith, is a British contemporary artist, writer, author, musician and art education enthusiast. He also hosts a radio show called “Make Your Own Damn Music” on Resonance FM. 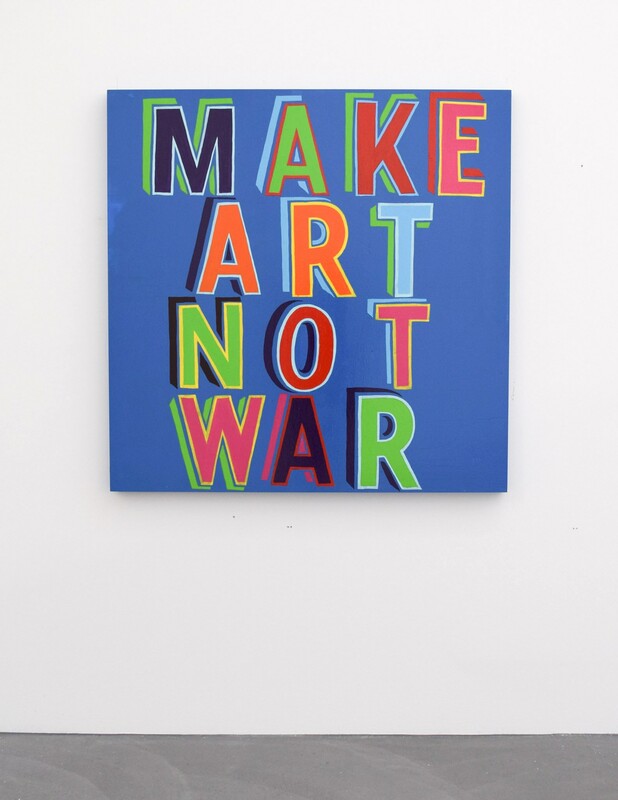 Bob and Roberta Smith believes that political campaigns are extended art works that include a variety of consciousness raising artefacts. His exhibition at von Bartha, “THE WHOLE WORLD IN AN ART SCHOOL!” includes mostly art in the form of painted signs. The colourful slogans on banners and placards challenge elitisms and advocate the important of creativity in politics and education. Pierre Lievens is a French artist living and working in Paris. Her work mostly includes objects that we know from our familiar surroundings and everyday life. By reworking the objects and reinterpreting their function, she aims to force us to rethink the use and function of everyday objects. Lievens has exhibited at the Espace Paul Ricard (Paris), the Super Window Gallery (Kyoto), the Fonderie Darling (Montréal) and has been represented in important art fairs such as; Art Basel, FIAC and Artissima. Japanese artist, Katsumi Nakai is having his first UK solo exhibition at the Ronchini Gallery in London. Nakai studied painting at the Institute of Fine Arts in Osaka, Japan, and was active in the Japanese art scene with several successful shows in his native land. In 1964 he decided to move to Milan, during that period, the city was one of the most stimulating and defining moments in contemporary art history, which further developed Nakai’s remarkable oeuvre and unique point of view. 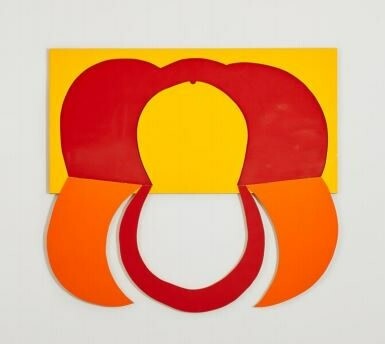 In 1967 Nakai became part of the so called artist group “New Milanese School” (“Nuova Scuola di Milano”) other group members were personalities such as Lucio Fontana and Tomonori Toyofuku, as well as Paolo Scheggi and Enrico Castellani. His upcoming exhibition at Ronchini Gallery includes his work spanning from the 1960’s to 2012.